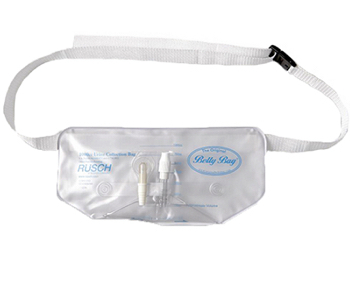 Belly Bag 1000mL Urine Drainage Bag with Waist Belt Teleflex Medical B1000- 1 Each. 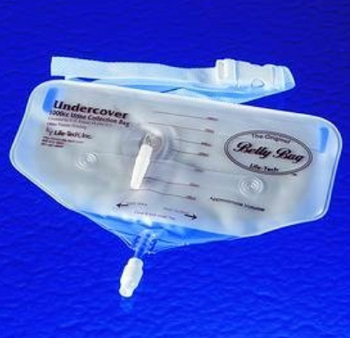 Urinary Drainage Bag worn at the Waist, Abdomen or Belly. Belly bag works both as a leg bag or bedside drain bag and can be worn 24 hours a day. 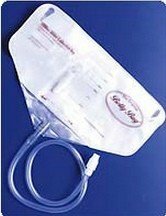 Latex-Free drain bag can be used by both Men and Women who have an indwelling catheter or Foley Catheter.